Muscat is the capital city of Oman. Just like most places there, it is very clean and easy to navigate. Filled with malls, parks, and restaurants that offer both local and foreign cuisine. 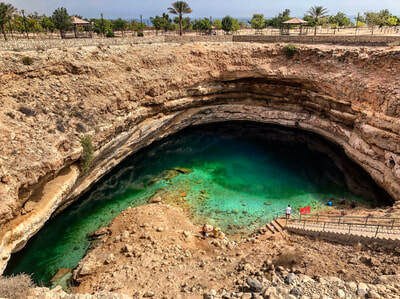 Sinkhole Park is a naturally formed sinkhole located near the Gulf of Oman. Once there, you can walk down and take a dip in the water, which is believed to come from the ocean. 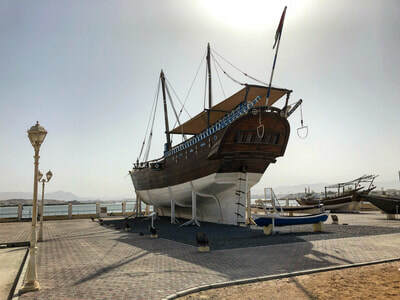 Sur was as a port stop for merchants who navigated the trade routes many years ago. The city is probably best known for their impressive wooden ships which were built there. There are several beautiful Wadi's in Oman to hike and some of are more "touristy" (Wadi Shab) then others. 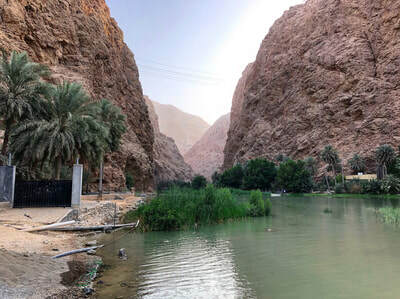 Wadi Tiwi and its beautiful waterfall seems to be more of a local hangout. 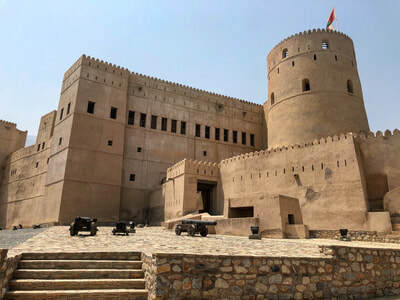 Once inside the walls, Al Hazm Castle opens up into a labyrinth of hallways, stairs, and room. The top deck provides an impressive view of the area. A very unique experience. 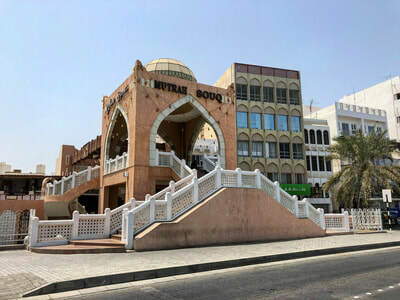 The Matrah Souq is a well known bazaar in Muscat which features household goods, souvenirs, Frankincense, jewelry, spices, and other local items. 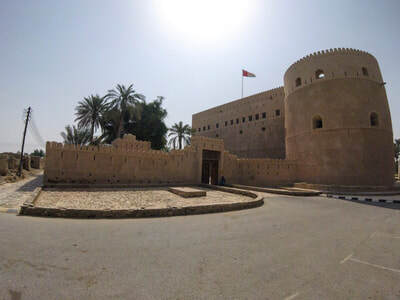 Al-Rustaq Fort is similar to Al Hazm Castle in shape and architecture, but its foot print is much larger. It is also still a fairly active spot within the local community. One of the more "touristy" Wadis in Oman. The entrance is a beautiful, scenic gateway where you take a boat ride up the river until you reach the hiking area and go up from there. 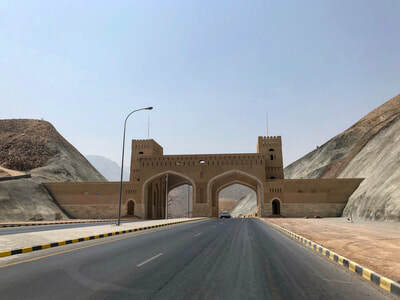 Rustaq is a town nestled in the hills and located north of Muscat. The large, double gated entrance is a nice welcome to a beautiful city. The also have a Hot Spring there!